As a runner, staying well hydrated is essential both during the winter season and through the long hot summer. In fact, if you do any sort of exercise, drinking enough water, before, during, and after your workouts, is of utmost importance. As we are going to see today, dehydration is the recipe for mediocre performance and training disaster. And you don’t want that. Staying well hydrated is not as difficult as you might have been led to believe. It’s simple—once you start implementing some of the hydration strategies I’m sharing with you today. This blog post will teach how to stay well hydrated—that means preventing both under- and over-hydrating. Human beings can survive for as long as a month without food. But, devoid of water, we would perish in roughly three to four days, according to science. In fact, water is, right after oxygen, the second on the list of essentials for life. The human body is about 60 to 70 percent water, and every living cell in the body it needs to keep functioning. So, you are more water than anything else. Not only that, our fluids reserves need regular and constant replenishment. Water flows through the blood stream, carrying both nutrients and oxygen to cells, and flushing waste out of your body. Water cushions our soft tissues and acts as a lubricant for our joints. Water facilitates proper digestion of food to provide with energy. Without it, your digestion system will grind to a halt. Water keeps your skin healthy by eliminating toxins. Water regulates body temperature through sweating and respiration. Water keeps you healthy and sane. Dehydration – Why Do you Need to Avoid it? Proper hydration can improve your performance and training enjoyment. By the same token, dehydration can interfere with your body’s ability to perform at its highest level. As the name implies, Dehydration occurs when you’ve lost too much liquid without replacing it. When this happens, your organs, cells, and tissues will fail to function as they should, leading to dangerous, even life-threatening, complications. You might feel easily winded, have muscle cramps, experience dizziness or loss of coordination, and other acute symptoms. In fact, research shows that as little at two percent dehydration could slash up to 20 percent of your aerobic capacity. 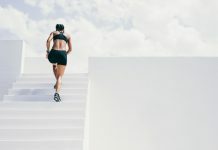 Another study revealed that for each liter of sweat lost through dehydration, your heart rate could increase by up to eight beats per minute, and cardiac output drops by one liter. Not only that, extreme cases of the condition may result in death. So, what happens to your body as you become dehydrated? According to biology, our blood is about 82 percent water. As a result, when you run, you sweat. As you sweat, your blood volume drops, thus less blood returns to the heart. Next, the volume of blood your heart pumps with each beat declines, which can hinder oxygen- and nutrient-rich blood from reaching your working muscles. This leads to a reduction in your aerobic energy production, forcing you to slow down and interfering with the quality of your workout. Dehydration levels can range from mild to serious, even life-threatening cases. Mild dehydration can typically be treated at home, whereas severe cases of the condition require immediate medical attention in a hospital or emergency care setting. Loss of consciousness (in serious cases). Most people don’t drink the recommended daily amount of water, which is 60 to 70 ounces of liquid—runners included. In fact, research shows that up to 75 percent of Americans might be not meeting this daily recommended water intake. 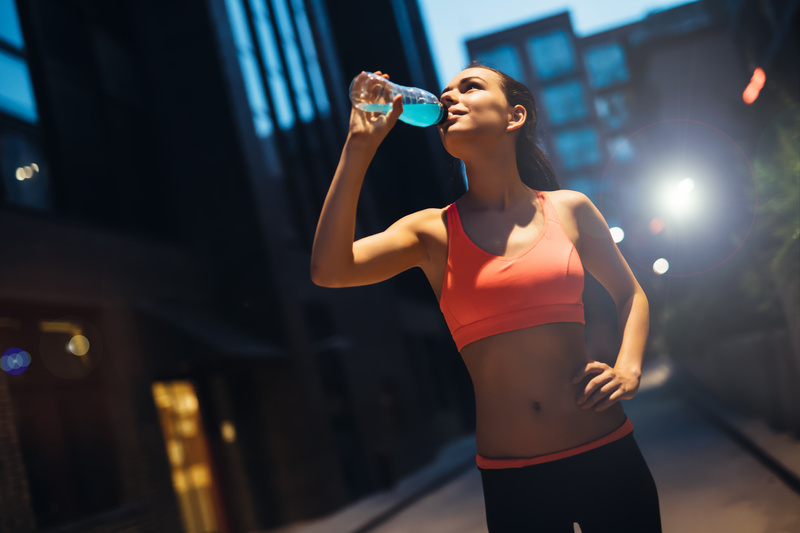 So, how much water should you drink while running? Here is the thing. There are no universal rules for how much liquid to drink because everyone is different. The heat and humidity in your environment. But, all in all, a good general guideline is to aim to drink half of your body weight in ounces each day. So, for instance, if you weigh 170 pounds, you typically want to try to drink 85 ounces of water per day.That might seem like too much at first, but if you get yourself into the habit, you’ll be able to reach that target. How to Stay Well Hydrated? The golden principle is to drink plenty of water throughout the day to stay well hydrated. As a result, build the habit of drinking water all day long. Drink first thing in the morning and right before you doze off to sleep. Also, keep a full water bottle nearby, whether at your desk at work or in your car. This can serve as a reminder to keep your hydration topped up. 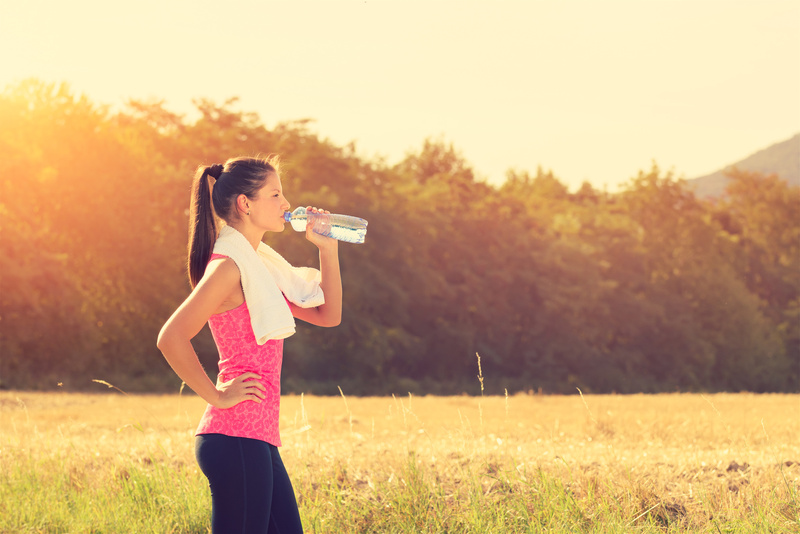 Sip as much water as possible before a run to keep your body fluids topped up. In general, this might translate to drinking 500 to 900 ml—the equivalent of two to four glasses of water —in the two to three hours before a run. Just keep in mind that if you feel thirsty, then you’re already dehydrated. Note: Do not drink too much water before a workout as doing so can force your kidneys to flush it out, resulting in frequent trips to the bathroom. Overdrinking can also dilute your body’s sodium balance and boost your risks of hyponatremia. For long distance running, drink a glass every 20 minutes to keep you well hydrated throughout the session. In general, you can lose up to half a liter for each hour of running. This can be considerably higher when exercising in warm and/or hot weather. So, immediately post-run, drink another two to three glasses within 10 to 20 minutes. Drink two glasses—500ml—two hours before a run. Drink one to two cups—250 to 500 ml—10 to 15 minutes before a workout. Drink third a cup—about 75 to 250 ml—every 15 to 20 minutes during running. Drink two to three glasses—500 to 750 ml—in the 30 minutes following a workout. To make sure that you’re not under- or over-hydrating your body, you need to learn to monitor your hydration levels. You can do this by following two different routes: The “Pee Test” and the pre- and post-run weigh-in strategy. Weighing yourself both before and after each workout can help you measure how much water you lose typically through sweat, which, in turn, can help you know exactly how much fluid you need. 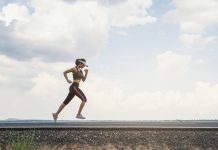 This is a particularly good strategy for runners training in the hot summer months. First, weigh yourself, without clothing, before and after each run/workout. Next, calculate how much (fluid) weight you lost. Last up, drink with the main goal of getting your weight back up to its pre-training level. 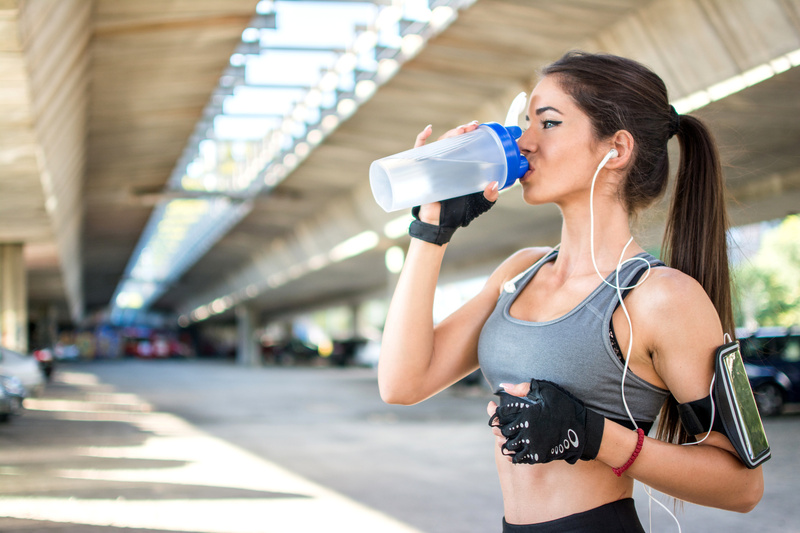 As a rule of thumb, drink 16 ounces of water for every pound you’ve lost during a workout. So, for example, if you are three pounds lighter after a 90-minute run, aim to drink 48 ounces in the hours following your workout. Just don’t swig it all at once. Aim to drink about 500ml in the first hour after your run, then keeping sipping water every 10 to 15 minutes until you have reached your target. If you have only shed 1 to 2 percent of your total body weight, you’re in the hydration sweet spot. However, losing more than 2 to 3 percent means that you might be in the dehydration zone. Try hydration a little more before, even during your workout—especially your long runs. The pee test is the easiest and simplest way of checking whether you are well hydrated, especially during warm weather. Check the color of your urine. There is a strong correlation between urine color and hydration status, according to research conducted at the University of Connecticut. Typically, your urine color should be light yellow—think lemonade. But once it gets too dark (think apple juice), or particularly smelly, you need to drink up. A clear, transparent, urine is a bit an excessive. Use this simple color chart to figure out your hydration levels. Finally, it is possible to drink too much water while running. In fact, overhydrating before (and sometimes during) a workout is a common mistake many fluid-conscious runners make. This can slow you down and might lead to some serious consequences. In fact, the dangers of overdrinking are at least as significant as the dangers of drinking too little. In the scientific circles, this case is known as Hyponatremia, a condition of low blood sodium, usually associated with Overhydration. Along with dehydration, this condition is one of the most common medical complication in endurance training and racing. Mild cases of the condition will cause nausea and bloating, whereas extreme forms of hyponatremia can cause confusion, vomiting, and seizures, even death. A survey revealed that 9 out of the 17 runners who were hospitalized during an 89KM Marathon in South Africa had been overdrinking—drinking too much water than their bodies’ needs. In fact, research has linked the condition to a couple of death cases during recent marathon races. One measure you can take to cut your risks of this condition is to sip on a sports drink comprising of sodium and electrolytes alongside plain water. You can also increase your salt intake during hard and intense training days.